What do you when you’re stressed, worn-out, and homeless? How about a night of indulgent luxury where all your cares are forgotten? 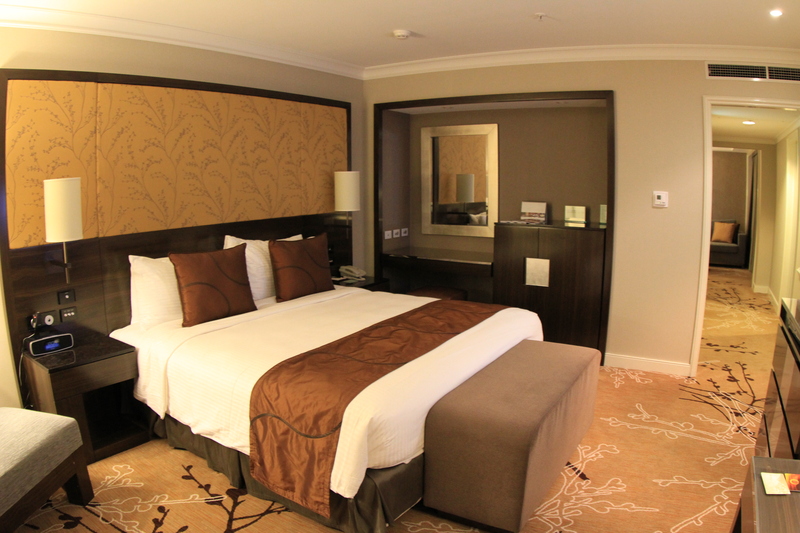 We booked into The Shangri La in Sydney for a Friday night. Our room was understated luxury and the view – how good is that! It was hard to leave our gorgeous suite for dinner at Altitude, but we managed! The food was fantastic, the service was great, and the theatre was spectacular – I recommend the oysters just for the dry ice spectacle! It Luckily the oysters themselves lived up to the performance – some of the best we’ve ever had. When we returned to the room we just sat in the dark and watched the Sydney lights for awhile – Who needs fireworks? This view is available everyday of the week. Spectacular! Getting out of bed in the morning was very hard – the bed was so comfy. We had plans to go to the pool, but unfortunately the comfy bed, fantastic view, and the excellent buffet breakfast conspired against us – we’ll just have to come back. There are lots of indulgences competing for your budget, but if you are stressed and tired and need a really indulgent recovery option, you can’t go past something like this! The day to day world seems a million miles away. The highs: The view. The sleep. The food. The utter indulgence. The lows: Going back to couch surfing. Would you do it again? Absolutely! Why shouldn’t you holiday in your home town? Top Tip for self when doing it again: Make it a two night stay. 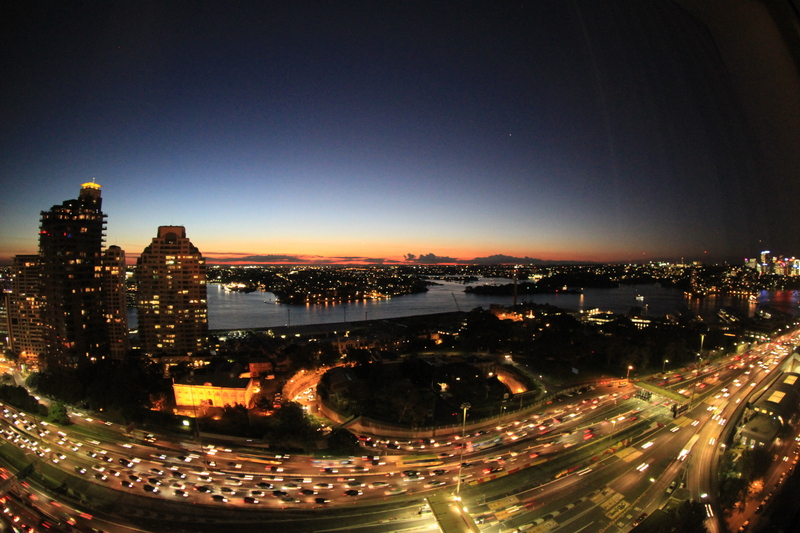 Top Tip for others: Splurge and get a room with a view. Watch the sunset over Sydney from your room or the awesome cocktail bar. The restaurant Altitude is not to be missed. 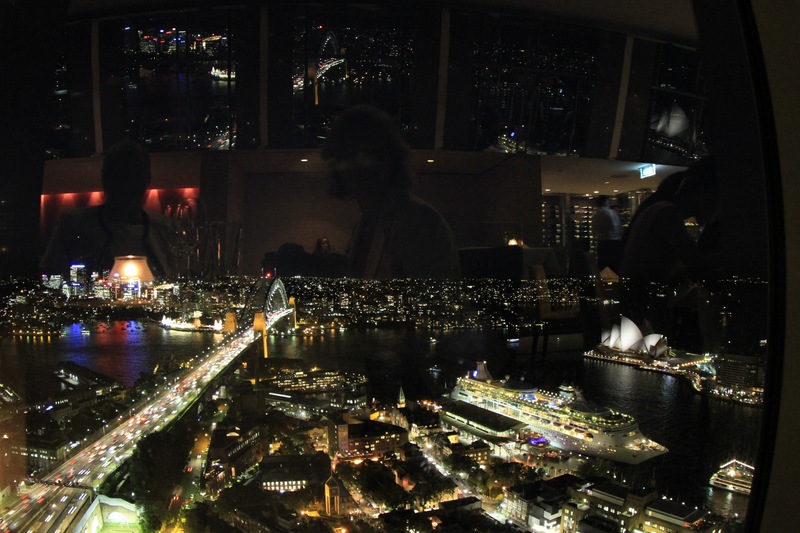 The food excellent and the views – the best in Sydney.